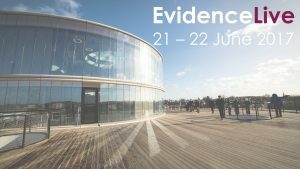 Evidence Live 2018 Medical Journalism session Tuesday June 19th will explore the benefits to health through the media. Harold Evans was a UK journalist, who grew up round the corner from me in Newton Heath, Manchester. Evans became the editor of the Sunday Times in 1967, and for fourteen years sought to bring to the public attention scandals that were being ignored. One of these was thalidomide. 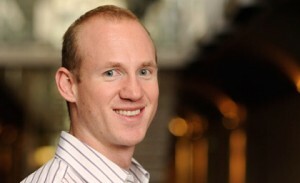 The Times’s investigative team (called Insight) fought for higher compensation for victims and also revealed the manufacturers had not done the necessary level of testing required at the time before distributing. Journalism, therefore, can act as a force for public good, and when it comes to health can work in the public interest to ensure that those stories that are ignored, denied or defended are told. At Evidence Live 2018 we’ll be exploring the role of journalism in maintaining public health, upholding the trust and making for better healthcare. Jet Schouten – ‎Investigative Journalist from RADAR TV, a Dutch consumer television, programme, went undercover to expose how the regulation of medical devices is so lax that mesh packaging for fruit could be approved as a medical device to be implanted in people’s bodies. Shelley Jofre – BBC Panorama. Her first Panorama programme was an investigation into the over-prescription of psychiatric drugs to children, and since then she has investigated prescription tranquilizers and non-addictive anti-depressants like Seroxat impacting on drug’s safety and the reporting of side effects. Deborah Cohen – is investigations editor of the BMJ and much of her work has focused on drug and medical device regulation, access to clinical data and conflicts of interest. She has collaborated on documentaries with the BBC, Channel 4 News and Dispatches, Al-Jazeera, as well as having worked with the Cochrane Collaboration and the Bureau of Investigative Journalism.